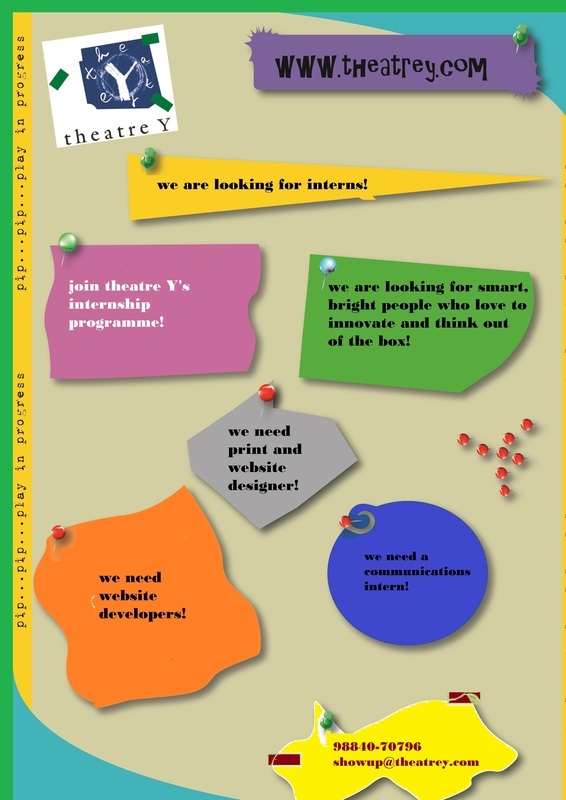 theatre Y is a theatre and training company based in chennai, India. we conceptualize and conduct theatre and arts related training programmes for children and adults. our training programmes are conducted at our studio as well as at schools, colleges, activity centres and corporate and non governmental organizations. we reach out to communities through our applied theatre programme where we conceptualize training programmes as well as performances for development organizations based on their requirements. our aim is to mainstream theatre in all walks of life, whether in school or outside. we have reached over 1000 children and adults in the course of our work over the past ten years. we work out of a dedicated studio space for rehearsals and training in the heart of chennai city, with a small but dedicated team of supporters, volunteers, actors and trainers who believe passionately in theatre and its role in development and education. we welcome the support and collaboration of people from all walks of life. theatre Y was started on august 15th, 2003, by chennai-based actor, director and trainer yog japee. yog is one among six scholars selected worldwide for a prestigious international fellowship for the chevening-clore leadership programme for cultural leaders for 2012-13.
this is an opportunity for you to build your portfolio and put your talent to use while working for a high energy theatre company experiencing rapid growth. You will be working on our branding and communications stratgey, implementing design for our website and mobile app and other exciting work! Click the image on your right for more details on the position and contact us through the form below with your resume! - A stipend will be considered for candidates with excellent qualifications and portfolio of work.